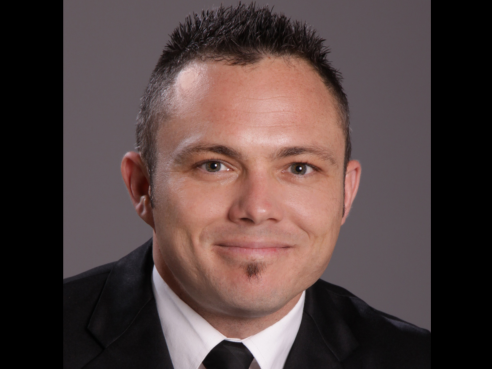 A monthly column by Marcel van der Watt, lecturer in the Department of Police Practice at UNISA, former police detective, and current member of the Gauteng Rapid Response Task Team for Human Trafficking. The global village, as primary strategist against the scourge of human trafficking and other forms of organised crime, is entering an exciting era of response characterised by ‘big picture’ thinking and underpinned by a multilayered network of international partnerships. Globalisation, information and communications technology (ICT), social networking, the role of the media and increasingly effective transportation systems are not only characteristic of holistic development, but also stimulate complexity, which creates opportunities for criminals to use innovative means to commit crime[i]. Human trafficking and different forms of organised crime are amongst those societal issues that thrive in this complex global environment. South Africa, as a citizen of the global village, is by no means immune from the malignant effect of these issues. In response to this global problem, the ‘Together Let’s Stop Traffick’ initiative was launched by the IPTI (International Police Training Institute) in 2013, supported by the FBI NAA (National Academy Associates) and American Military University. The 2013 inaugural Summit held in Ottawa, Canada’s national capital, comprised Phase One of a four-phase program to build the world’s first International Resource and Coordination Centre to combat Human Trafficking. I was privileged to attend and contribute to the first summit representing both UNISA’s Project Tshireletso and the National Freedom Network (NFN). Role players from around the globe converged with one purpose in mind: to give due recognition to the multi-layered complexities associated with human trafficking and working towards establishing an International Resource and Coordination Centre. Five working groups were established and these discussed ideas and benchmarks around themes relating to how the International Resource and Coordination Centre will be managed, the mandate of the centre, the importance of neutrality and where the centre will be situated, workflows and processes, tapping into existing counter human trafficking structures and identifying sources of intelligence. Phase Two is already underway and will include these working groups providing feedback during this year’s summit from November 17 to 20, in Charles Town, West Virginia, USA. An invited panel of expert speakers will contribute specialist insights to develop solutions to the key challenges identified by the working groups. This specialist expertise, coupled with a stimulating programme of practical workshops, will shape the critical next steps necessary to bring about Phase Three – the physical realisation of this ground-breaking International Resource and Coordination Centre. With this world-leading borderless Centre in place, we can accelerate bringing an end to human trafficking by widening and refining the global response. a separate open source information centre from which there will be a flow of knowledge dissemination, communications, coordinated professional training; and in which a future capability of contextual text analysis is to be developed. This truly is an opportunity to become part of an endeavour far greater than one person or agency can create. 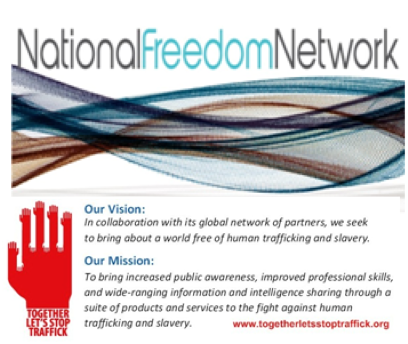 Those interested in becoming involved in any capacity in the fight against human trafficking by sharing their skills or providing access to relevant networks are encouraged to make contact with the NFN (details below). Current Network partners include NGOs, schools, churches and outreach teams, artists, journalists, trainers, survivors, medical professionals, local coalitions and provincial Task Team members, academics and researchers, corporate businesses, community and social groups, places of safety and other shelters, and passionate individuals (from housewives to Government officials!) as well as several International Partners. How to get involved in this exciting global initiative and information regarding other areas of contribution. [i] Van der Watt, M. 2014. Towards a complex-systems understanding for combating human trafficking. Cancer InCytes Magazine: Cancer Research and Social Justice (Culture, Policy and Law Enforcement), Summer, Volume 3: Issue 1. Congratulations Marcel and the rest of the team – this is an inspiring and innovative venture! Deep inrouds can be made into the darkness created by human trafficking – would be a privilege to be a part of the group!